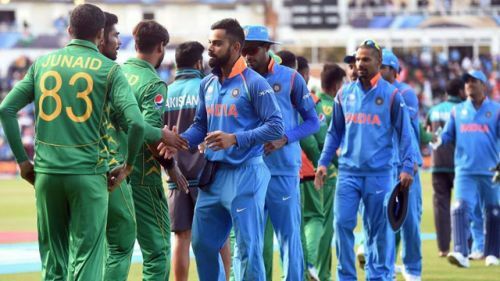 Owing to the recent cross border political reactions, there has been a lot of talk from the Indian cricket board and several other politicians, former cricketers, and various other public figures, about the need to scrap the match between India and Pakistan in the upcoming World Cup later this year. However, if India decides to pull-out or forfeit from this match, there are several consequences which might occur, and, can impact either team effectively. India needs to consider and analyze those possibilities and then need to take the final decision ahead of the match. Here are two very crucial factors, the Indian Cricket board needs to consider before taking the final call. Firstly, a forfeit would mean, India costing themselves two important points in the group stage. In an ICC World Cup, where every point matters, those two points would surely hinder India's progress in the competition. Even the likes of Sachin Tendulkar, Sunil Gavaskar, and, several others advocated for the fact that India should play Pakistan and should not think otherwise. Secondly, if we look at both the sides, and, compare their strengths, India is a far more competitive, well balanced, and cricket ready team than Pakistan. India's ODI ranking is currently second, whereas, Pakistan is 6th on the list. Also, Virat Kohli and Rohit Sharma, are number one and number two players ranking wise, and Pakistan does not have such a strong batting side. India has two bowlers in the top ten slots, whereas Pakistan does not have a single player. In fact, Indian fielding is much more disciplined than Pakistan as well. As an icing on the cake, MS Dhoni, is undoubtedly much better than any other wicket-keeper in the world. In-lieu of the above factors, India, should definitely play against Pakistan. Indian cricket board must not act impulsively, and, make sure that they seriously consider the pros and cons of not playing against Pakistan. Let's hope that we get to see an amazing match, and, the best team win in the end.